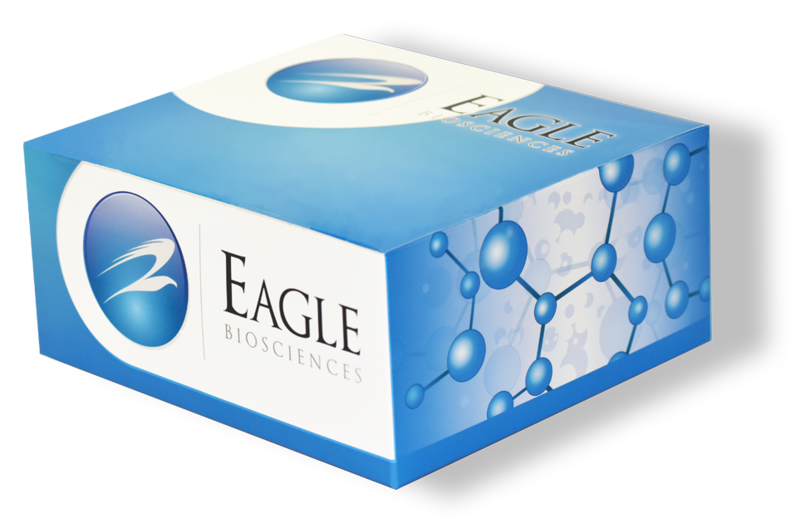 The Eagle Biosciences Estradiol Immunoaffinity Column (IAC) method of content determination of Estrogens combines the high selectivity of immunoaffinity columns with its high potential to concentrate elute and of purification by HPLC column. The Estradiol Immunoaffinity Column (IAC) is for research use only. Many methods of Estrogens determination based on HPLC-UV detection show low selectivity if problematic matrices are applied. This method of content determination of Estrogens combines the high selectivity of immunoaffinity columns with its high potential to concentrate elute and of purification by HPLC column. The following instruction gives an optimized protocol for enrichment of very low contents in the pg/g range. In this case a mass detector might be best suited. Please notice, that this instruction focuses on the handling with the IAC column. The given apparatus and detection (e.g. HPLC-FLD system) might serve as example among other possibilities. Sewage and drinking water samples are collected as described by Quintana et al1. Raw samples may be filtered through a 0.45μm pore size cellulose filter. Example: 1000g sewage effluent sample (equals approximately 1L) firstly are filtered like mentioned before and then added to the filtrate 10ml Buffer Solution (see under Buffer and Chemicals) to maintain pH neutrality. Thus, the final sample contains 1% (v/v) Buffer Solution. 1.01L final sample (containing the quantity of estrogens from a 1000g sample if above-mentioned sample preparation is followed) are applied through a reservoir on top of the B-TeZ Estradiol IAC Column. The optimal flow rate through the gel is between 1 to 3ml/min. According to application and contents expected the applied sample volumes could vary. In case estrogen contents lie in the ng/g range, e.g. 1ml aliquots of samples may be diluted 1+9 with PBS and then applied on top of the column. After the whole sample has passed through the gel, the latter is washed with 5ml of 0.2M NH4Ac (see Buffer and Chemicals below). Remaining liquids in the gel are removed by applying either pressure from top of the column or depression from the bottom. Alternatively, you can wash with 5ml PBS if MS analysis is not due. The sample reservoir on top of the B-TeZ Estradiol IAC is removed, and an appropriate vial is placed below the affinity column. The bounded estrogens are eluted by using a total volume of 3ml of HPLC grade methanol. The elution process is performed in two steps. First, an amount of 1ml methanol is applied. Once this amount has passed through the column, there should be a waiting time of 30 seconds. After that, the second portion of 2ml of methanol is eluted through the column. The remaining methanolic solutions should be eluted by application of either slight low or over pressure. All methanolic fractions are unified to give the column elute. The column elute may be injected into the HPLC directly or, if concentrations are very low, concentrated by evaporation (e.g. using VLM evaporator), redissolved in HPLC solvent and finally injected into the system. For the latter case, please see the sample calculation in which the sample concentrate has a final volume of 0.4ml of HPLC solvent.